Our Approach | RB Smith Co., Inc.
At R.B. 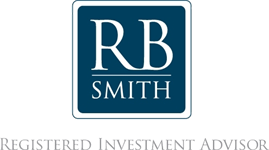 Smith our mission is to build and preserve your financial confidence and prosperity through an alliance of comprehensive financial planning and disciplined asset management. To fulfill this mission, we aspire to unsurpassed levels of service and the highest standards of professional ethics and integrity. As an independent firm, R.B. Smith has no obligations to investment product manufacturers and no cross-sell quotas or other home-office directives that may lead to conflicts of interest. We don’t spend our time in meetings or on conference calls with far-off senior management. Our sole focus is serving your needs. .
We provide objective financial planning and investment advice based on a thorough understanding of your unique circumstances and philosophy about wealth management. We offer the benefit of our experience, education and professional training to help you pursue your personal financial goals. The independent professionals of R.B. Smith always put your interests first. Talk to us about the importance of long-term planning with a focus on safety and capital preservation. Discover the value of experience, personal service, and unbiased, independent advice. We’ll do our best to serve you. R.B. Smith is powered by LPL Financial, the nation’s largest independent broker/dealer. * LPL Financial provides a comprehensive array of tools and resources to independent financial advisors, enabling them to provide objective financial guidance to their clients. The firm has no proprietary products.